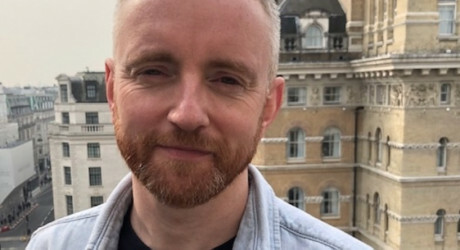 STV Productions has appointed leading creative talent, Craig Hunter, as creative director, Factual, as the business pursues an ambitious growth plan led by David Mortimer. Hunter, whose commissioning credits include BBC’s Blue Planet Live, Drowning in Plastic and Inside the Factory, is currently the lead commissioning editor for Natural History and Specialist Factual and the Factual lead for commissioning in Scotland. With extensive production and commissioning credits to his name, Hunter has worked across a huge range of formats including blue chip series, live events, social experiments, competitions and returning formats and his commissions have been the recipient of multiple awards, including BAFTA, RTS and Grierson. Other commissioning highlights include The Doctor Who Gave Up Drugs, Big Life Fix, The Parkinson’s Drug Trial: A Miracle Cure? Grizzly Bear Cubs and Me, Animals with Cameras and Amazing Hotels: Life beyond the Lobby. On the production side, Hunter has worked as executive producer for BBC Science and for independent production company, KEO Films, with credits across Specialist Factual, Features, Current Affairs and Documentaries, including the multi award-winning Terry Pratchett: Choosing to Die, for BBC Two. Hunter, who is from Glasgow, is an established voice for production in the nations. In his role as lead commissioner for Factual Scotland he works with Scottish production companies to deliver network ideas and projects across all factual genres to the BBC. This key appointment is part of STV’s comprehensive three-year strategy for creative and digital growth, through which the company is investing £15m in content and digital to position STV as a major creative force in Scotland and beyond. STV recently produced drama series, The Victim, for BBC One, which has received huge critical and popular acclaim. Craig will work alongside Sarah Brown, creative director, Drama and Gary Chippington, creative director, Entertainment. Craig Hunter said: “I’m really looking forward to joining David and the team at STV Productions at what is a very exciting time for the business. “I’ve had an extraordinary four years in commissioning for the BBC, and I’ve loved every minute of it. 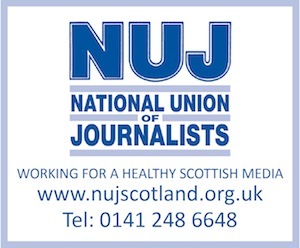 I’ve been lucky enough to work on a very broad slate of programmes, with many talented people. David Mortimer, managing director, STV Productions, said: “Craig has a hugely impressive track-record of delivering high quality, award-winning, popular content across a broad range of unscripted genres and I’m delighted to welcome him to the team.